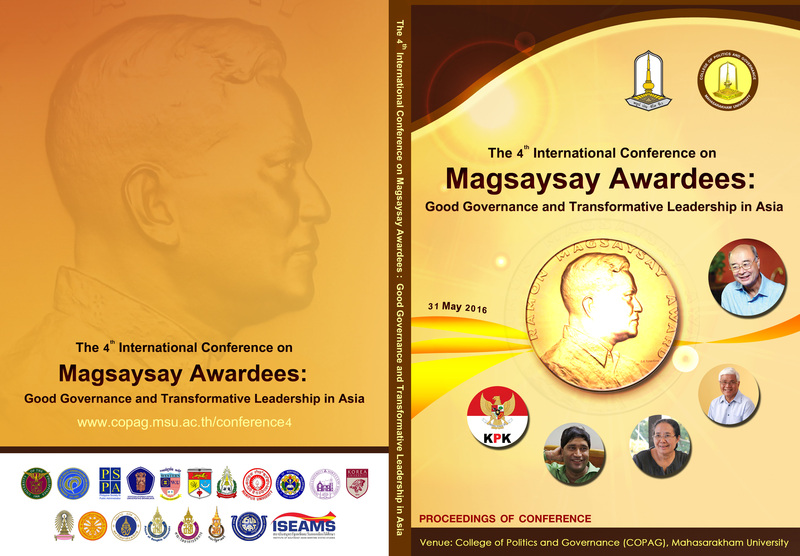 A key underlying theme in Magsaysay Awardees : Good Govermance and Transformative Leadership in Aisa is the raising awareness of all scholars, government practitioners, policy makers and students to share their research and knowledge related to governance and leadership and to promote an active brainstorming among universities and institutions connecting the areas. The most important lesson learned of the governance and leadership in Asia and Southeast Asia is the Awardees of Ramon Magsaysay Foundation which considered to be an Asian equivalent to the Nobel Prize that give the prize to Asian Individuals or Institutions for an example of integrity in governance, courageous service to the people, and pragmatic idealism within a democratic society. Those awardees work on anti-corruption in public sectors, empowering people in community services, environment protection, peace negotiation, democratization, empowerment in local government, Agriculture fields to achieve better harvests, etc. All of them served more and more people, whether the immediate community or all of society. 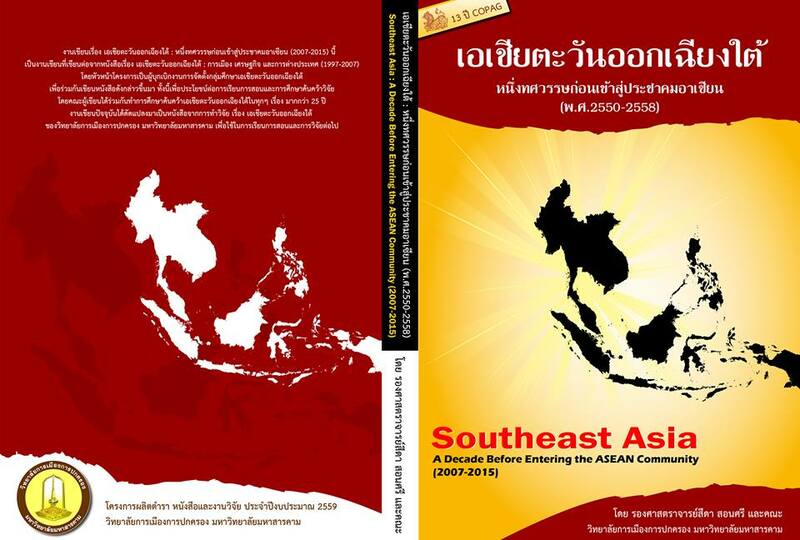 This is the lesson learned that the people of Asia and Southeast Asia should be realized. The challenges of Magsaysay Awardees mentioned above lead to the International Conference of COPAG which provides an interactive platform for scholars to share their researches and knowledge related to good governance and transformative leadership.That is, all good leadership should be a good governance. 1. Papers must meet the word limit of 2000-3000 words along with an abstract of 150-200 words. 2. Three to five keywords must be listed at the end of the abstract. 3. The APA reference style is recommended. 4. The TIMES NEW ROMAN font must be used throughout the text. 5. The title of the paper should be in font size 12 (Bold) and should be centered. 6. The names of the authors and their affiliations should be placed below the title of the paper. 7. The names of the authors should be in font size 10 (Bold) and their affiliations should be in font size 10. 8. The subheadings (Bold) and the body of the text should be in font size 10. 9. The abstract should be in font size 10. 10. Line spacing should be “single”. A one-inch margin must be used on all sides. 11. The paper should be submitted only in Microsoft Word format. Please do not submit papers in PDF. 12. Conference papers shall be published in good faith. Hence, the authors are liable in ensuring the originality of the paper. 13. Peer reviewers may edit the manuscripts for clarity and reduce the length of the paper if it exceeds the word limit. 14. Peer reviewers may also alter the title of the paper. 15. Certificates of participation and the conference publication shall be given only to registered delegates. 16. No paper shall be considered for the conference publication after the last date of the submission. 17. All the papers will be published in print and online editions.